Is there a way to read ext4 partitions from Windows? If so, what can I do? This program plays the role of a bridge between your Windows and Ext2/Ext3/Ext4, HFS and ReiserFS file systems. EXT2FSD works for reading ext4 filesystems, though not all of ext4's capabilities are supported. After installing set a letter to each Linux drive (see screen-shot) and then restart the application. 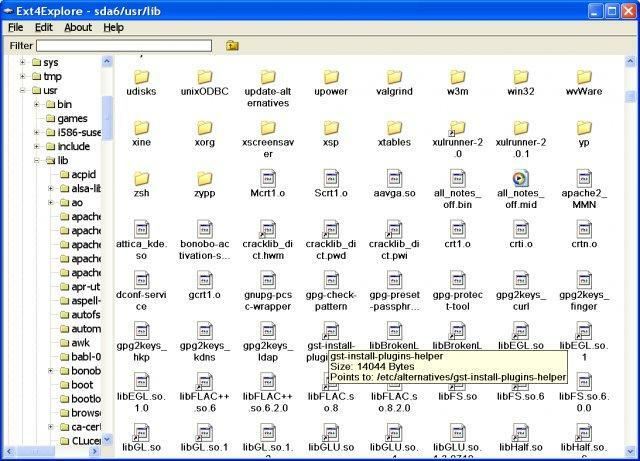 After that Windows Explorer will show the Linux partitions as any other partition. There is now another solution: Paragon ExtFS for Windows, which acts as a file system driver and so you don't need to use a specialized program to access your files. The only solution with Ext4 read - write support! Well not really a solution, but I use VirtualBox, use it as a bridge. 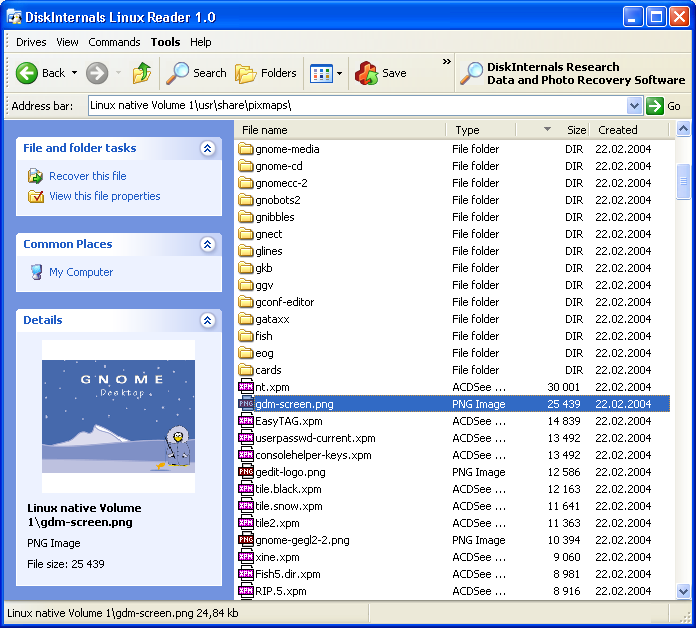 Ext4Explore is a program that allows Linux partitions to be browsed from Microsoft Windows. 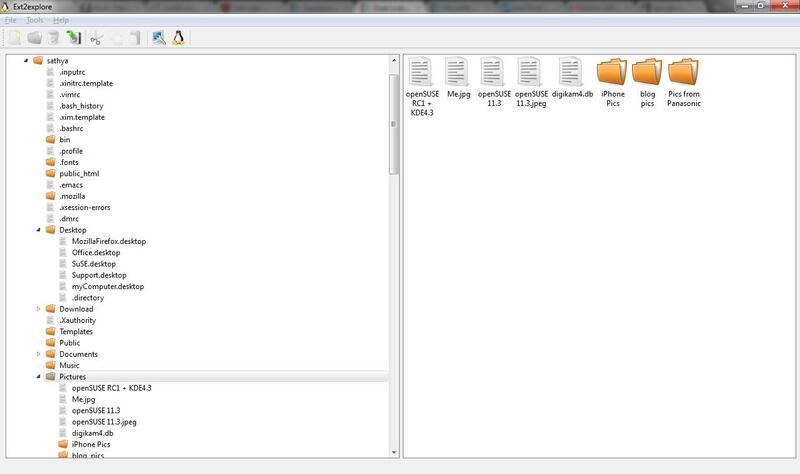 It has a GUI which will be familiar to users of Windows Explorer. If you want to dual boot Ubuntu (or any Linux-based OS) with Windows and read ext3/ext4 filesystem, you can use Ext2FSD. Although you may need to take special steps as explained below. I’ve successfully used Ext2fsd on Windows 7 to read my ext4 (!) filesystem this way. The newest version of Ext2Read open source software can read normal Ext4 filesystems from Windows, even with ‘extents’ feature bit enabled! Please share your experience with this software in the comments. From Ubuntu Karmic Koala 9.10 ext4 filesystem uses by default, and previous versions use ext3 and ext2 filesystems. There are several good options to read and write ext2 filesystems from Windows systems, but ext3 or ext4 support is an entirely different scenario. 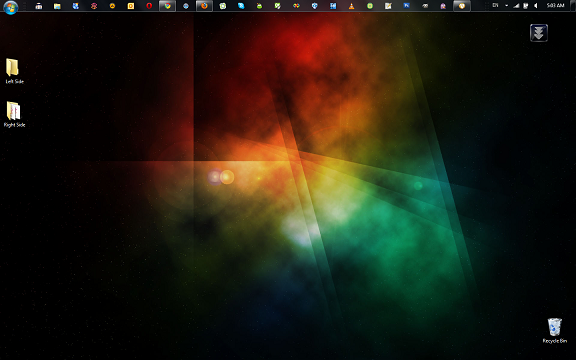 I tried three different software to read my ext4 partition: Ext2fsd, Ext2IFS, andDiskInternal Linux Reader. 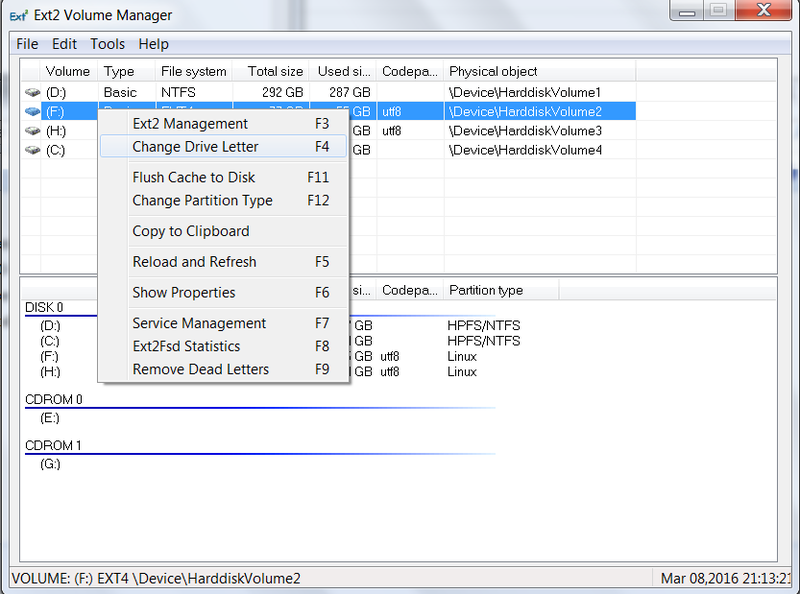 Ext2IFS fails to mount my ext4 partition due to unknown feature bit AND because my partition has inode size of 256 (Ext2IFS only supports inode size 128). DiskInternal Linux Reader apparently tries to scan my harddisk forever. 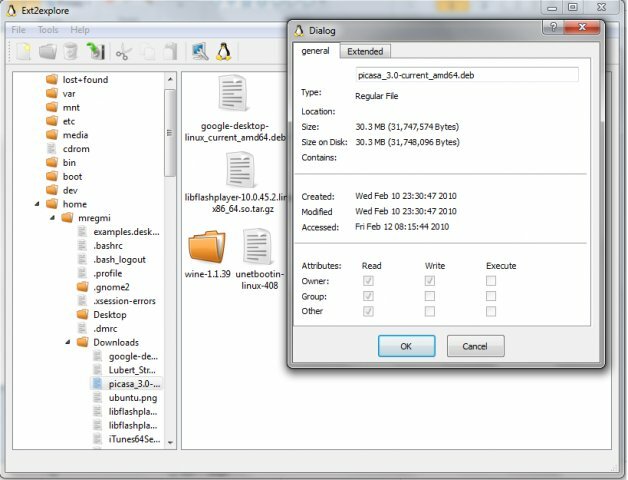 When creating/formatting the ext4 filesystem, make sure to add -O ^extent which means disabling the “extent” feature bit. The following steps will not work if your ext4 filesystem still has “extent” feature enabled. ext2 and ext3 partitions should be fine. Not the answer you're looking for? Browse other questions tagged windows filesystems ext4 or ask your own question. How to mount read-write an ext4 partition on Windows? How do I read the Ext4 partition of my SD card on Windows? Can I access an ext4 Linux partition in Windows? Is it possible to mount READ/WRITE ext4 partition under Windows 10? How do I view Linux file system drives on a Windows machine? How to read a Mac or Linux hard drive on Windows? Does dual booting split RAM between the two systems? How to read btrfs volumes on windows natively? Is ext4 more expensive than ntfs? Does an ext4 writer for Windows exist? How to analyse timestamp in ext4 manually? How to shrink an ext4 partition from Windows? How to merge two ext4 partitions, when there is an unallocated space between them?